Just how the hell did I get here?!? In the right light, I was able to identify DN MA[VRI?] TIbER PP A and match it to a few similar types with a brief internet search. However, the various legends and seeming lack of consistency raised a query. @ClassAssocNI Interesting how the Latin legends on many "Byzantine" coins are blundered. Likely due to the celators being Greek speakers. @lightspeedkwc But then upper class beta is hardly different from B. Strange choice. Any lower class betas on Greek provincial Roman coins? “This will just take a quick search on the Internet,” I thought. It will probably be a choice from a single mint or even engraver and of course, the letter “B” is not that frequently used in the Latin language, if the “B” section in my Latin dictionary is anything to go by. Upwards of two dozen emperors, empresses and usurpers have made use of “B” in their coinage – Tiberius, Galba, Sabina, wife of Hadrian, Zenobia, Probus, Bonosus to name but six. Starting with Mauricius, a cursory search showed that my new coin is not some kind of anomaly. The lower case “b” was used quite frequently on those issues using Mauricius Tiberius’ full name. Furthermore, from the examples below, you can see that this lower case “b” was issued from more than one mint, somewhat undermining the idea that it might have been the work of a specific workshop or engraver. Given that Mauricius got his Tiberian name from his imperial father-in-law, it was then appropriate to see if Tiberius II used the lower case. And again we find “TIb” appearing on issues from various mints – Constantinople, Nicomedia, Cyzicus, Antioch, Carthage, Ravenna. Clearly this lower case “b” was an established practice for Tiberius II’s reign in 578-582. But what about before Tiberius II? Unfortunately, there had been no emperor with a “b” in their name for a century before Tiberius II, the imperial throne having been held by Justins, Justinians, Anastasiuses and Zenos,. To find another imperial “B” you have to look back to the brief reign of the usurper Basiliscus in 475-476. And low and behold, his coinage frequently used the lower case “b” even as the initial letter of his name from more than one mint. Finally, resorting to the Roman Imperial Coinage (which I should probably have gone to much… much sooner…), I learned that the lower case “b” first appeared on coins “the miniscule b is first found on solidi of Theodosius II (Feliciter Nubtiis of Theodosius II (RIC X.61, 260 n.267, a marriage issue, celebrating the wedding of Valentinian III and Licinia Eudoxia in 437). Such “mindless compliance… with little understanding of what was intended” (RIC X.114) could also lead to the rather spectacular mixture of “b” and “B” in RIC X.304 n.1027 which contains the legend bASILISCI ET MABS P AVG and the mint mark CONOB. And it was with the name of Basiliscus that I ended up in the world of unicodes and Cyrillic-looking letters. Distracting me from the lower case “b” was the various forms of the Roman “u” and “V” used in imperial legends. The aforementioned capital “U” with a tail, backwards capital “U” with a tail, and the somewhat Cyrillic looking Ч being used to signify various things within the name itself so the “Ч” in bASILISCЧS might signify both “U” and Virtus i.e. virtue, valour, manliness etc (RIC X.62). “But when his soul and life have left him, then send thou Death and sweet Sleep to bear him away” – Hera’s instructions to Zeus over his son’s impending death at the hands of Patroklus at Troy (Homer, Illiad XVI.439; trans. A. T. Murray). That book 16 episode where Sarpedon falls ‘as an oak falls, or a poplar, or a tall pine, that among the mountains shipwrights fell with whetted axes to be a ship’s timber’ and is whisked away to an ambrosia bath by Thanatos and Hypnos has always been my favourite part of the Iliad. And now, it’s also my favourite stick-figure representation on my brand-new pack of Trojan War playing cards, courtesy of L. E. Jenkinson, the author of Teaching Classics website at medium.com (@TeachingClassic). The Trojan War Playing Cards were a Kickstarter project launched on 5th May, found 89 backers to bring this super-quality, ultra-desirable, nifty little concept item to life. The full deck of glossy cards is illustrated with original drawings of characters from the Iliad, each pictured in two guises (upright and inverse), and with their name in English and Ancient Greek. Here are my top picks. For the fellas, alongside Sarpedon, Achilles, Patroklus, Odysseus, and a very conceited-looking Paris (Greek Myth Comix’s ‘Why Paris Is Such an Utter Plonker’); and for the ladies, Iphigeneia, Andromache, Helen, Hera, and a sultry Aphrodite. I have long been a fan of L.E. Jenkinson’s Greek Myth Comix (@GreekMythComix); her posters adorn my Classics classroom, the globally acclaimed ‘Deaths in the Illiad’ infographic is a real pupil favourite. I have purchased class sets of her Odyssey comic book for two of the schools at which I have taught the text at both GCSE and A-level. One of my GCSE classes even had the privilege of designing a new comic-book-style poster on Thermopylae for the website, after studying the unit on Sparta. Recently, Jenks (as she’s better known in the Twittersphere – @BBFiction) gave an interview to WordPress about her ever-growing empire of Classics teaching resources, which has been praised by – among others – New York’s io9 blog, classicist and historian Tom Holland, and JACT President Caroline Lawrence: Here, she discusses the origins of her Classics comic books, the inspiration she found in Athenian black-figure and red-figure vases, and her own possible hubris in tackling the Odyssey. So, what’s the latest resource from this Classics teacher extraordinaire (not that her internationally sold posters, games, badges, mugs, playing cards, etc. are fun only for teachers)? Apart from an intense period of drawing the remaining extra-curricular books of the Odyssey not already in her GCSE comic book, and further Kickstarter commissions, you can now order the Trojan War Paper Doll Playset! Teachers all over the UK have received their copies this month and are busy assembling mini versions of the battlefield. In the pack are approx. 60 easy-to-print pieces with full instructions, including Achilles’ hut, kitted out with furniture and accessories; the Greek camp; the wooden horse; and the Skaian gates. That’s not to mention over 50 3D figures of Homer’s most important characters, as well as extra soldiers and even mourning women! Since Laura’s promised that if this playset succeeds, she’ll start designing an Odyssey playset, perhaps helping pupils memorise who lives where and what kind of xenia they provide the Favourite of Zeus might not be such a slog for too much longer. I cannot wait to see in what ingenious way she will tackle Scylla and Charybdis! Invited speakers were scheduled to give presentations on Tuesday and Thursday afternoons. On Tuesday, Dr Kerry Phelan (Maynooth University) spoke about the politician and logographer Demosthenes. Judging by the nature of the questions afterwards, the high point of her talk was the manner of Demosthenes’ downfall, particularly how he sought refuge in a temple and committed suicide by ingesting a poison concealed within his pen. The dramatic circumstances of his death sparked queries about the type of poisons available to Demosthenes, the witnesses to this act, and the religious implications of his death as both a suicide and in a temple precinct. Stephen McCarthy (Maynooth University) visited the summer school on Thursday to direct a discussion on Sappho’s poetry. He talked about her life and work, and revealed the fragmentary nature of her poems by depicting images of the papyri on which her poetry survives. The Summer School students were able to read the letters and recognised some of the words used by Sappho, and the ensuring discussion centred on the gaps left in the papyri, or the illegibility of some pieces, and conjecture about what might have been written. At the close of the School, the students were presented with certificates of attendance by Dr John Curran, Convenor of the Classical Association in Northern Ireland. The students attended the Summer School for a wide variety of reasons and for different purposes: a post-GCSE student and two post-A level students wished to study classical languages but were unable to do so at their local schools and universities, two graduates in the area of Ancient History needed Greek to further their studies at PhD level (one even travelling all the way from Scotland to do this! ), an archaeologist at the end of her PhD programme who required training in a classical language to broaden her skills in the field, and a retired solicitor who embraced his passion for the Classical World by using the skills learned in the Summer School as a starting point for commencing an undergraduate degree in Classics. Informal feedback has shown that most, if not all students would return next year either to continue studies in Greek, or to undertake Latin at beginners or intermediate level. When planning the summer school, it was difficult not to wonder whether such a venture would be a success, whether the students would enjoy the courses and the programme we had put together, and whether there was even an interest in what we were offering. It seems that the answer to all those questions is a resounding ‘yes’! Therefore, we have decided to run the summer school again in 2017, and to offer classes in beginners and intermediate Latin to satisfy the thirst for Classical languages in Northern Ireland. This entry was posted in Belfast Summer School, Previous Events. This entry was posted in Belfast Summer School, Gallery. Full Details, including speakers, available here. 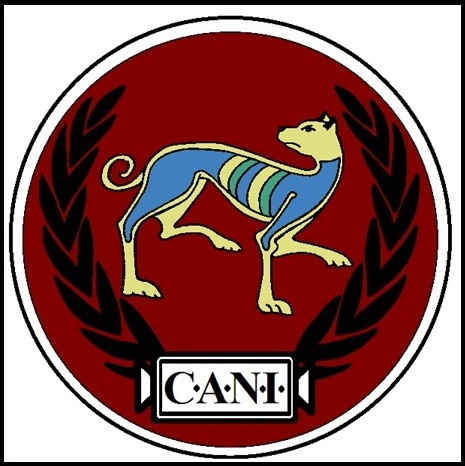 In 216BC, the Italian countryside played host to the Battle of Cannae between the forces of Carthage and the legions of the Roman Republic during the Second Punic War. Fresh from two major victories, the great Carthaginian general, Hannibal Barca, squared up to an enormous congregation of Roman legions. Despite being heavily outnumbered, what Hannibal achieved on that battlefield still echoes over twenty-two centuries later as one of the greatest military defeats ever inflicted and the archetypal battle of annihilation for prominent military commanders throughout history. In 303AL, by the reckoning of HBO’s Game of Thrones, the forces of House Stark, led by Jon Snow, marched to take back their former capital from their betrayers, House Bolton. The confrontation on the plain outside Winterfell would be known as the Battle of the Bastards due to the illegitimate births of the commanders of both sides. The writers of the Game of Thrones S06E09 “Battle of the Bastards”, David Benioff and D.B.Weiss, have since confirmed Cannae’s inspiration for their epic depiction of the battle for the North, but the eagle-eyed viewer who knows their Second Punic War will have recognised elements of the Cannae Stratagem. Lady Sansa Stark, Jon Snow, Tormund Giantsbane and Ser Davos Seaworth © 2016 Home Box Office Inc. In a meeting with his fellow commanders, Ser Davos Seaworth expresses his worry over the extent to which they will be outnumbered by the forces of Lord Ramsay Bolton. To combat this, he proposes a defensive strategy to lure Lord Bolton’s superior numbers forward by having the Stark centre stage a feigned retreat, which would draw the Boltons forward into the pocket between the two Stark wings, surrounding them on three sides. However, as the Battle of the Bastards plays out, the tables are turned and in a direct reversal of Cannae, it is the smaller force that gets hemmed in and crushed together. This reversal can be traced to another example of Cannae’s influence over the Game of Thrones writers – the use of psychology. Lord Ramsay Bolton: Hannibal’s psychological avatar? © 2016 Home Box Office Inc.
Hannibal Barca was a master of it, reading the Romans like a book, predicting what they would do well in advance and planning for it accordingly. It had served him well at Trebbia and Lake Trasimene and at Cannae he used it to literally and figuratively crush the Romans. Somewhat surprisingly, it was the spiteful Ramsay Bolton who was cast as the avatar of Hannibal’s psychological abilities. He had shown himself an able psychological (and physical) torturer but had yet to display any ability on the battlefield. However, in using Rickon Stark for target practice, Ramsay was able to cunningly, if unsubtly, goad Jon Snow into abandoning the Cannae Stratagem. Undermining the Cannae Stratagem © 2016 Home Box Office Inc. The seeming failure of Ramsay to shoot Jon Snow when he was in range could also be linked to Hannibal’s reading of the Roman leadership. At Cannae, the joint command between Terentius Varro and Aemilius Paullus provided an opening for Hannibal as they seem to have had a difference of opinion over how to proceed, the former keen to attack and the latter more reticent. Eager to spring his trap, Hannibal offered battle on a day the reportedly more reckless Varro had overall command, who obliged by charging into that trap. Outside Winterfell, Ramsay Bolton wanted Jon Snow to react rashly and lead his forces into an attack, abandoning their defensive position. Had Jon been killed, command would have passed to Davos who would have followed the original Cannae battle plan. An Impenetrable Hedge of Swords, Shields and Pikes © 2016 Home Box Office Inc. Despite the decidedly un-Cannae-like cavalry clash (which would have horrified Hannibal) that followed his good use of psychology, Ramsay then also takes up the Hannibalic tactical mantle. With Stark forces fully committed in order to survive the initial clash, Ramsay sent in his own infantry. Surrounding the mass of Stark men on three sides, these Bolton shielded pikemen initiated a Cannae-style crush, the suffocating horror of which is magnificently realised by the combination of superb editing, camera work and sound. Closing the Bolton Noose © 2016 Home Box Office Inc.
At Cannae, when the jaws of Hannibal’s trap closed, this initiated a day-long butchering of the mass of Roman soldiers caught within by the ever-tightening Carthaginian noose; a day that saw perhaps up to 73,000 Roman soldiers killed or captured. And while the numbers were nowhere near as ridiculous, caught in Bolton noose, it appeared that the remaining Stark forces were about to face a similar grizzly fate as the Romans at Cannae. Jon Snow fights for air in the crush © 2016 Home Box Office Inc.
Only the timely arrival of the Knights of the Vale prevented such a repeat. And while there were no such reinforcements at Cannae, the charge of the Arryn cavalry into the rear of the Bolton lines does mimic part of its ancient blueprint. After routing the Roman cavalry, Hannibal’s horse charged the rear of the legions, although there is academic argument over whether or not the Carthaginian cavalry could have caused the level of casualties reported by the ancient sources. The Knights of the Vale charge the Bolton Pikemen © 2016 Home Box Office Inc.
One slight issue with the depiction of the battle came with the closing of the Bolton noose. With the Bolton cavalry decimated, the writers needed some way to hem in the Starks, and they chose a pile of dead and/or dying men and horses. This has raised a few eyebrows. Hundreds of bodies could pile up but would they really do so in such a way, forming a wall? It seems unlikely, although it might be added that in the chaos of such a brutal contest, almost anything could happen. And it is this visceral, claustrophobic chaos that the Battle of the Bastards does such a terrific job in capturing, complete with the horrifying crush at Cannae, as well as the inspirations of Hannibalic tactics and psychology. This entry was posted in Game of Thrones and Ancient History.